Dr Charles Shepherd, Hon. Medical Adviser, ME Association. 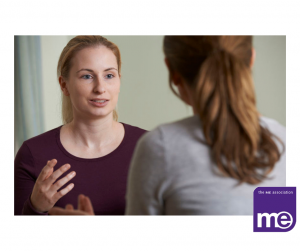 Counselling is defined as a talking therapy that involves a trained therapist listening to you and helping you to find ways of dealing with emotional and mental health issues. Results from January’s website survey. Sometimes the term “counselling” is used to refer to talking therapies in general. But counselling is also a type of therapy in its own right. Counselling can help you to gain a better understanding of your feelings and thought processes and find your own solutions to problems. But counsellors won’t usually give advice or tell you what to do. 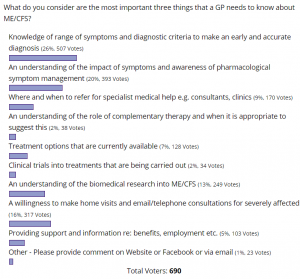 And they would not regard counselling as a form of treatment for ME/CFS! And while some members of the medical profession believe that counselling can be a useful for emotional, mental health and relationship problems, others take a far more sceptical view about its value. Consequently, most counselling still takes place in the private sector. However, it is increasingly being made available on the NHS in GP surgeries and hospital-based services. Share your experiences of counselling in our Facebook discussion. You don’t need a referral from your GP. You can refer yourself directly to a psychological therapies service. Or you can get a referral from your GP if you prefer. If you decide to pay to see a private therapist, make sure they’re qualified and you feel comfortable with them. Reputable therapists will be registered with a professional organisation that’s been accredited by the Professional Standards Authority (PSA). This means they have met the PSA’s required professional standards to practise. 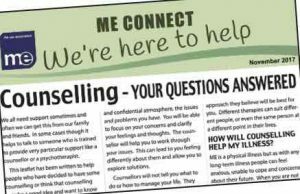 We have a leaflet about counselling available from our website shop. If you have used counselling before and want to share your personal experiences of this kind of approach, then please contribute to the discussion on the ME Association Facebook page. We have produced an information leaflet covering all aspects of counselling in relation to ME/CFS. It can be downloaded or ordered via the website shop.